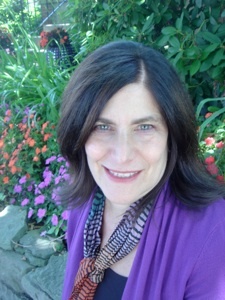 Today’s guest post comes from Lauren Lazar Stern, an art psychotherapist and professional counselor who has practiced for more than 25 years. She maintains a busy private practice in Pittsburgh, treating girls and women who suffer from eating disorders and body-image disturbance. There are a lot of issues that can trigger negative coping mechanisms, such as eating disorders, for people in their 40s: being unhappily single, divorce, infertility, loss of a loved one, and issues with children. Overcoming an eating disorder is very hard work. In the 25 years that I have been in practice, approximately one third of my clients have been in their 40s. Women in their 40s who have anorexia, bulimia, or other eating disorders are usually veterans of this disease and more than likely they have been struggling with food restriction and negative body image for many years. Most of the time these behaviors are so comforting and emotionally soothing that letting go of their obsessive food thoughts and hatred towards their bodies is unheard of. To change these behaviors is quite a difficult feat because of the habitual nature of the disease, and it takes a huge amount of work to undo the long-term damage. Young girls and young adults have an easier time recovering because their disease process is not so entrenched. In general, the earlier the disease is addressed, the more hopeful the prognosis becomes. Over the years I have come to refer to “the slender trap” as my term for the food and body traps that women find themselves in when they are lonely, sad, out of control, and just plain miserable. They become obsessed with their bodies and their weight and they begin to take out their misery on themselves. They can barely think of anything else but how thin they want to be. These thoughts become obsessive. These women lose touch with life’s realities and need to find a way out. If you are bingeing and purging and/or starving and cannot seem to stop, it is time to contact a professional who can guide you onto a healthy path. These dysfunctional behaviors won’t stop on their own unless you get to the underlying cause of them. Although I always recommend strongly that women with possible eating disorders seek professional assessment and treatment, I have also written The Slender Trap: A Food and Body Workbook for those who cannot find an appropriate therapist right away or who are not ready to go through that process for one reason or another. Readers of this self-help manual are led through a series of forty drawing and writing exercise that enable them to clarify whether or not they have an eating disorder and/or body image disturbance and to work on these behaviors in a non-threatening way. COMMENT: Have you ever had an eating disorder? What did you do?